An Osteopaths approach to helping is … focused on you, holistic, gentle and effective. All appointments – consultation or follow up incl. treatment. Online Booking is the fastest way to schedule an appointment. If you can’t find a time to suit – then call or text 0770 993 4052 for help. Charles practices his Osteopathy on the simple premise that if a person’s body is allowed to work properly, then there are very few conditions which do not respond to Osteopathic treatment. After all, the body wants to heal itself. 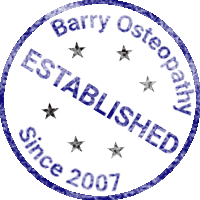 Charles is the most established Osteopath in Barry, practising in Barry & Vale since 2007. Trusted & Known throughout the community for his honest, friendly approach and affordable fees, Charles has an instinct to look beyond the symptoms of pain and treat the cause. This requires an excellent understanding of how the body can react to the stresses placed on it and what is required to allow it to heal itself..
Charles uses a wide treatment approach depending on what is appropriate for his patients, their lifestyle, personal goals, and the conditions they present with. He is also a great advocate for Osteopathy as a regular, preventative treatment, which encourages general and systemic health. Since 2011, Charles teaches the next generation of Osteopaths studying at Swansea University for their Masters in Osteopathy (MOst). 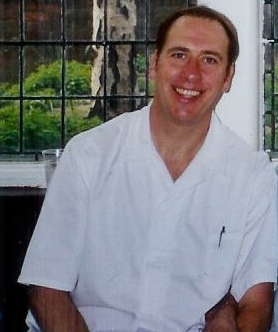 Charles is also a qualified Higher Education Teacher & Fellow of the Higher Education Academy. After qualifying, Charles has developed his skills in both Cranial and Classical Osteopathy as he believes the integration of these skills is crucial to deliver the best osteopathic care. The gentle cranial technique is best for the treatment of acute symptoms, babies, pregnancy and post pregnancy. A stronger, structural approach benefits sportsmen and those seeking to improve their posture and flexibility. Both approaches can be seen as two ends of a scale, which enables Charles to treat the whole family. 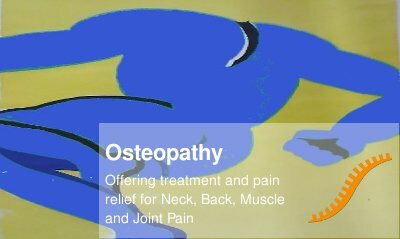 Osteopathy has been available in the UK for over 100 years! It is one of the most effective and safe treatments for a great number of our health problems. Osteopaths think of the body as an inter-connected whole and are interested in the relationship between how well your body could be working to how well it is actually working. Some say Osteopathy is really just common sense, combining up-to-date knowledge with a holistic view of the body which include joints, muscles, and spine. Treatment is “hands on” using gentle stretching, massage, mobilisation and manipulation. This aims to positively affect the body’s nervous, circulatory, and lymphatic systems helping the body to help itself. 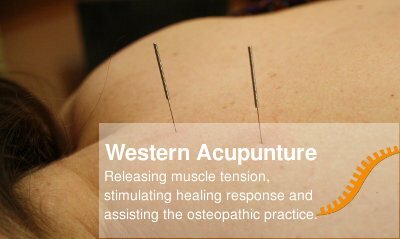 Western Acupuncture is a therapeutic treatment involving the insertion of fine single-use acupuncture needles into the muscles and structures around the joints. Many people find it a relaxes and soothes; some find relief from pain. Others have found it useful for immediate treatment for Sports Injuries or other acute problems. However, there are many receptive to this approach and find it helps them manage their pain. Recovering from a Sports or Work Related injury can be frustrating. Sometimes we need to help the body help itself. By using the drug-free hands-on approach that focuses on the health of the whole body not just the injured or affected part, you can start on the road to recovery. 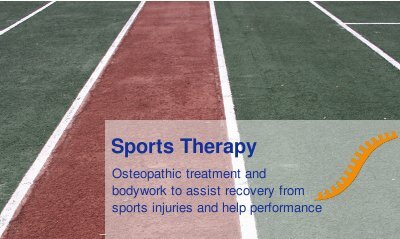 What can Osteopathy do for you? Comfortable, Home based clinic. Free parking always available. Easy access for Barry & Vale. Do I need to bring anything with me to my appointment? Please bring details of any prescribed medication or supplements you are taking. If you have any recent relevant X-rays, scans or medical reports please bring these with you. Also bring any orthotics, braces or supports you use. Will I need to undress? Osteopathic diagnosis and treatment involves both observation and palpation, therefore you will probably be asked to undress to your underwear but it is not compulsory. Your privacy will be respected at all times. You are welcome to bring a companion with you. Please be aware that they will become party to all conversation during the appointment. Anyone under the age of 16 should be accompanied at all times by a parent or appointed guardian. Should I tell my doctor that I am seeing an osteopath? It is not necessary to advise your GP. As primary healthcare practitioners, we are clinically trained to assess patients without recourse to medical records. Occasionally we need to contact your GP about aspects of your health and medical history. We will always obtain your consent before contacting your GP or other medical carers. 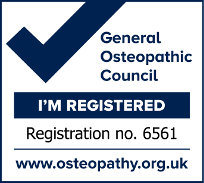 The primary aim of your initial consultation is to establish what is wrong and whether osteopathy is a safe and appropriate treatment for you. Providing there are no contraindications we would normally expect to treat you on your first visit. Most people initially feel easier after treatment. It is not unusual to then experience a treatment reaction and become more uncomfortable as the day goes on. This usually only happens after your first one or two treatments. How often will I need to be seen? The majority patients require 3-6 treatment sessions. We often recommend 2-3 sessions in the first 10-12 days, with intervals increasing to match your progress. Every patient responds differently and your osteopath will discuss with you the anticipated course of treatment, your prognosis and realistic expectations for recovery. I completed my Half Iron-man Triathlon event with NO issues with my legs…..sorry that’s not quite correct. They bloody well ache and have done so for the past few days but that was to be expected as I do not run between events. But I am not complaining. Much to my surprise I came 3rd in my age group and ended up with a Bronze medal in the National Championships. So your expertise had a positive effect. Great meeting you and sorry you are not closer to me but with your positive attitude you will never be short of work. I was very impressed with the Osteopathic care I received from Charles. I had received chiropractic in the past for my neck pain, but Osteopathy was different for me. After only a few sessions, my symptoms began to disappear, especially my neck pain, and I know I would not have been able to perform to my everyday work functions without the treatment I received. 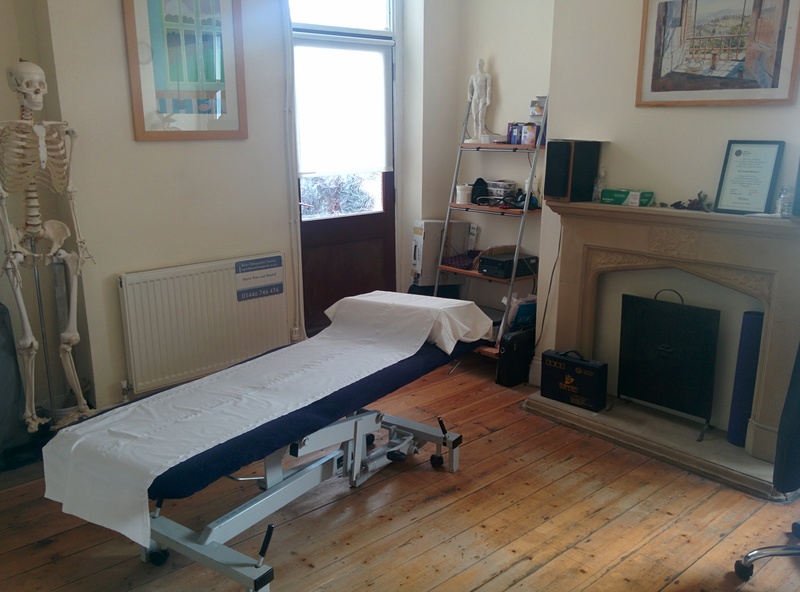 I’ve had several unhappy experiences with osteopaths and chiropractors before settling on Charles, but because he explains what he is doing and his manner is very calming, even when I have a silly or very painful injury, I always feel safe being treated by him. I trust his treatments and his advice and he is always happy to liaise with my G.P. to make sure that I’m receiving the appropriate treatment for any or all of my issues. 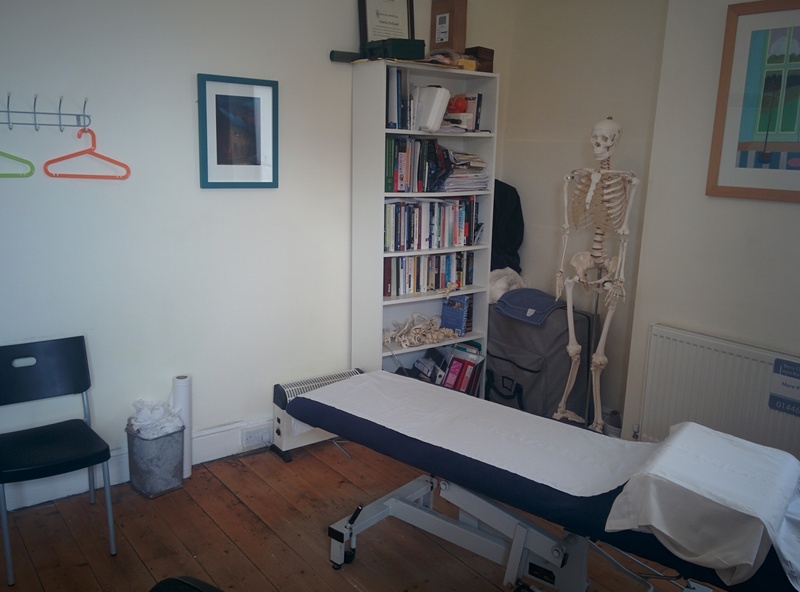 It’s tricky to find a reliable, local osteopath, who fees are reasonable (and who has Saturday appointments), so I’m happy to recommend Charles for head to toe treatment. Charles just wanted to express my gratitude for your work today. It has made a huge difference. As the day progressed the pain and stiffness has eased dramatically. Thank you! As a builder, using my hands to type on a daily basis is a requirement. The work is physical and in all weathers. Several months ago, every movement I made became excruciatingly painful. I started seeing Charles and his magic hands seemed to do the trick. He stressed the importance of my posture and correct use when lifting. At the appointments, he would manipulate and massage my neck, back, shoulders and arms. Within weeks, my pain subsided and I don’t feel the same tension when working. Thanks, Charles! It’s been 7 months since I fell off my bike. I went to A&E and my GP, they took x-rays and said everything seemed normal, that I would just have some pain for a few days. A few days actually turned into several weeks, so at the suggestion of a friend, I went to see Charles. He examined the arm & neck and treated the area, after a few treatments I began to feel better and became to feel more confident than before. I never would’ve thought to see an Osteopath to help with my pain, but I’m sure glad now that I did. I have been seeing Charles since he started in Barry in 2007 as I suffer from neck arthritis (cervical spondylosis), which causes much stiffness and pain. I was not prepared to go along the route of daily painkillers and find a regular mix of Osteopathy and Acupuncture from Charles allows me to get on with my life with the minimum of fuss. Charles has allowed me to be headache free for quite some time now. I used to have daily nagging headaches that often would turn into a migraine leaving me unable to function. For the longest time, I thought I could just keep taking medication to have the pain subside. Then, my friend referred me to Charles and he was able to pinpoint a misalignment in both my back and neck that was triggering the pain. After the first treatment I felt different & after some more my headaches have not come back. I would definitely recommend him to my friends and family. Back is doing great today. Thanks again Charles. Best £30 I have ever spent!